Windows 10 Build 10240 is the "Release to Manufacturing" build of Windows 10. In as much as there IS an RTM build of Windows 10, that is. If you have Windows 10 Build 10240, congratulations. You have the “final” Release to Manufacturing (RTM) build of Windows 10. In as much as there is a final build, of course. In fact, when I received an official, Microsoft-approved, Lenovo Yoga 12 laptop with Windows 10 on it last night, I thought there would be some sort of official stamp of completion. A new wallpaper. A sticker, perhaps? But when I powered it on...I was taken aback. Because there was nothing more than Windows 10 Build 10240 on it. 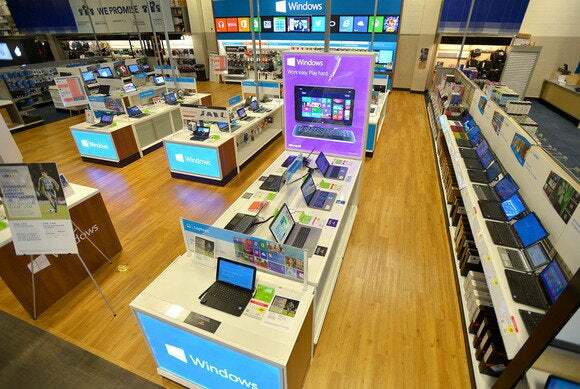 A few days ago, Microsoft stopped making ISO copies of Windows 10 available. If your Windows 10 PC has updated itself to Windows 10 Build 10240, then you basically have what PC makers have as well. On July 29, those that haven’t caught up will receive Windows 10 Build 10240—or whatever Microsoft is calling it then—and possibly even an entirely new build (or patch). We simply don’t know yet. What those of us with Windows 10 Build 10240 have seen, however, have been post-build updates for Windows Defender and other security fixes. More importantly, Microsoft has updated many of the Windows 10 apps separately, much like Google does for its Android operating system, or what Microsoft itself does for Windows Phone. Those fixes have produced notable improvements—for example, the Windows 10 Mail app used to be unable to dig up an old email that it would have to search the server for. Now, it does so in a reasonable amount of time. How do you make sure you’re receiving those app updates? Launch the Windows Store, and click your account icon to the upper right. In the drop-down menu, scroll down to Downloads, then click “check for updates.” Once you receive the update, launch the app. The app will generally tell you that it’s been updated, and what those updates are. Once July 29 recedes into the past, Microsoft will still continue to issue updates, which home users will be forced to accept as they happen. After all, we’re all used to Microsoft's rhythm of issuing security updates and other patches on a regular basis. It’s just that Microsoft will roll out new features alongside those hotfixes. So, dude, dude, check this out: you’ll always have the last build of Windows 10. Why this matters: As blogger Paul Thurrott noted earlier today, it’s a matter of semantics: we’re used to buying completed products off a shelf, rather than services which are always being worked on. Still, this is the new way of things, and what “Windows as a service” means in the real world.